Nymphon molleri, copyright Blair Patullo. 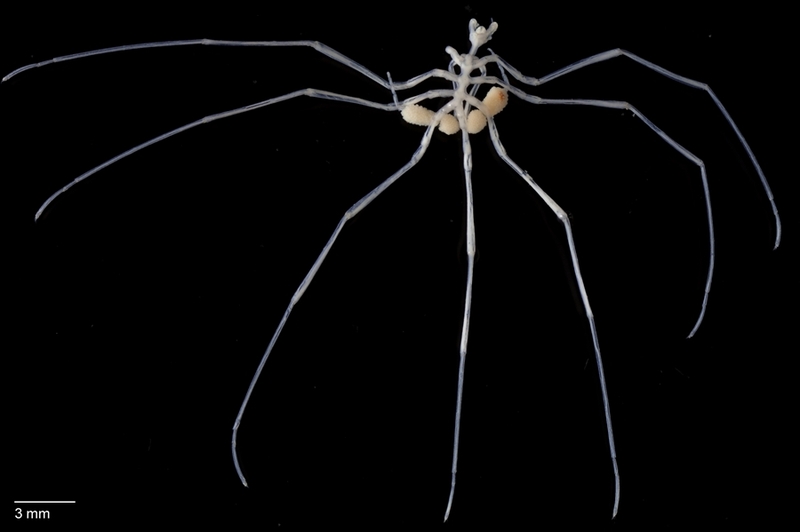 The Callipallenidae are a family of sea-spiders generally retaining chelifores but lacking palpi, though the phylogeny of Pycnogonida recovered by Siveter et al. (2004) placed Nymphon (which possesses both chelifores and palpi) and Pycnogonum (which lacks both) within the clade of callipallenid genera.